1. For the aluminum structure, the weight of this system is lighter much lighter than other system with steel structure. 2. 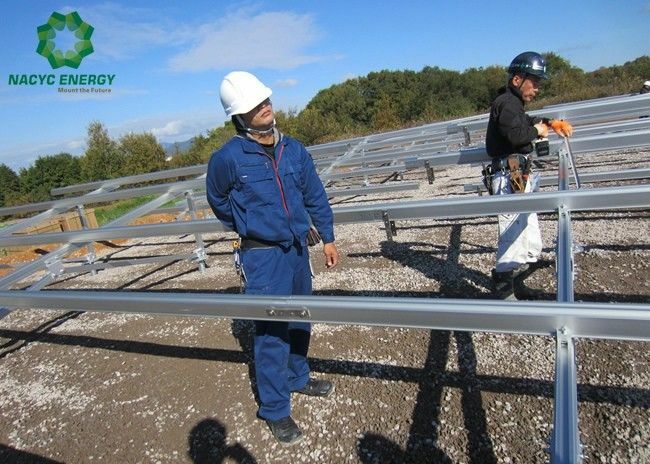 Most parts of the mounting structure are pre-assembled, saving much labor costs for customers. 3. Ensure a shorter delivery due to same structures of rails and girders. 1. Structural design to consider all applicable codes and local regulations, design loads, applicable weather hazards and other regional date. 2. Site-specific system statics calculation. 3. Calculate for wind load and snow load. Note: Max. wind speed is based on best economical concerns.